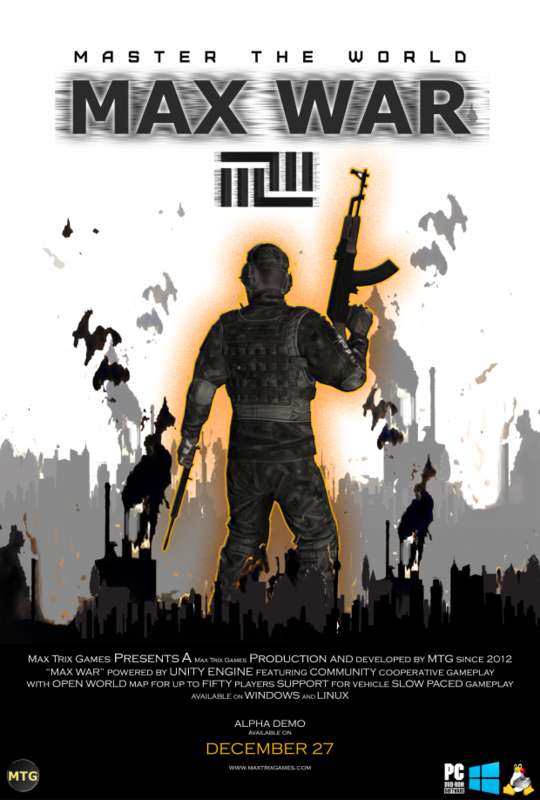 MAX WAR tells a condition in which the group called Rofux has almost fully conquer the world, player act as a fighter that join a colony called united world fighters to survive and repel the invaders. There's no government and states, as though rofux is part of the big conspiracy of the world​. In this build we focusing on fixing bugs and make more listed feature come true. however, graphic is not our main goal right now. 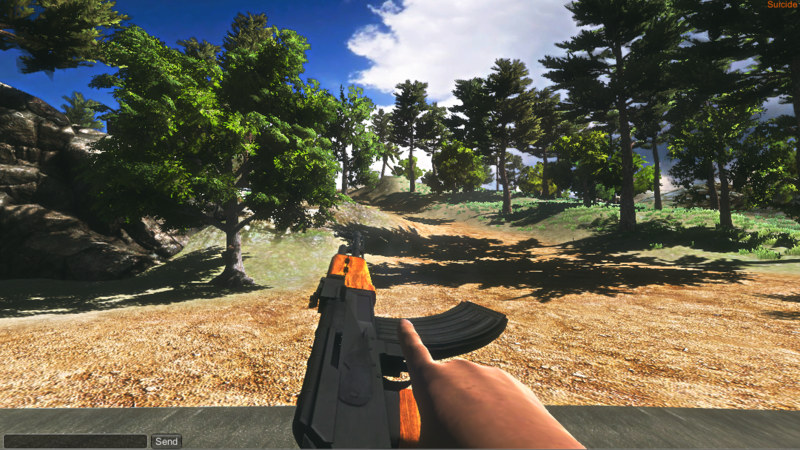 as well as single player (Player Versus Bot) we've added some our main feature to the game, that is Voice Chat, Base Constructtor System, and Vehicle Stuff.this game include real shapped kalimantan island scaled down, but the full version of the game will include all indonesia's islands (scaled down). just the shape, not real big.